Cremated flesh vanishes. Bones shrink down to a few pounds of brittle slivers. But metal body implants easily outlast two hours or so of 1,800-degree flame. More funeral homes and crematories are recycling some of these remnants. Last month, Kearney A. Snyder Funeral Home Inc. in Lancaster sent its first shipment of “byproducts” to Implant Recycling LLC in Detroit, Mich. Charles F. Snyder Jr. Funeral Home & Crematory Inc. in Lititz also sends recyclers hardware such as replacement joints and pins that once helped knit together broken bones. Ditto for Leola-based Evans Eagle Burial Vaults Inc., which handles cremations for the rest of the 33 funeral homes in the county that do not have on-site crematories. The reclaimed metal is sorted, melted down and used to make new implants and other products. No law requires this. Morticians say they’re striving for greener operations as interest in cremation slowly builds. All money received for recycled metal is donated to charity, said Paul Evans, finance executive for Evans Eagle Burial Vaults. “The biggest thing, I think, is to find a dignified way to reuse [the implants].” Disposal wasn’t always so decorous, according to Brad Wasserman, managing partner of Implant Recycling. “When we started about 3 1/2 years ago,” he said, the bulk of U.S. crematories, “90 percent or above, were throwing the material in the landfill.” Today, he added, only about 10 percent of the crematories nationwide continue to bury implants on their premises, landfill them or consign them to the medical waste stream. Meanwhile, the remnants are adding up. 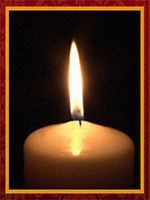 U.S. cremation rates have risen from about 5 percent in 1970 to about 32 percent today, according to Funeralwise.com. Surgeons began routinely inserting artificial hips and other metal implants more than 30 years ago, Wasserman noted. “One in eight people in the U.S. has some form of orthopedic material implanted into them,” he added. Now, many older recipients are dying and being cremated, and their loved ones typically sign over their implants. Tom Ford, funeral director for Andrew Scheid Funeral Home in Millersville, said surviving pieces might include sockets, joints, titanium alloy rods, stainless steel pins and plates, as well as assorted screws and fittings from the caskets that contain the bodies during the cremation process. “They’re not actually part of the cremated remains we return to the family,” Ford said. Hence the pressing question: What to do with Uncle Al’s artificial knee? Kearney A. Snyder, the first local funeral home to build its own crematory, in 1992, began sending such artifacts to Implant Recycling a year ago. IR was chosen because it’s endorsed by the industry and because its parent company uses the metal to make castings, according to the Kearney A. Snyder father-and-son team of funeral directors Mark and Jeremy DeBord. “Hips, knees, they’re the two main things” salvaged from the ashes, Mark said. Implants are collected and trucked in a sealed box to Michigan, where recyclers separate ferrous and nonferrous metals. “It took us a year to fill up the box,” said Mark’s son, Jeremy. The process “is beneficial to all parties and to the environment” added Jeremy, who said the birth of his 13-month old son, Ethan, moved him to try to make his company’s operation greener. Recycling implants saves raw material and keeps heavy metals out of the ground, where they generally do not decompose, Jeremy added. “We’re still just getting started,” Jeremy said. The first “stipend” from Implant Recycling will be donated to the Power Packs Project to provide nourishment for disadvantaged school kids, he noted. The average compensation per container of implants is $70, according to Wasserman. At the Charles F. Snyder Funeral Home (no relation to Kearney), the crematory that opened last July has “witness” rooms for family members who opt to watch the casket being rolled into the 15-ton burn chamber — or who are bound by religious obligation to initiate the cremation. What they don’t see is the recycling process that begins after the jet engine roar of the natural-gas burner subsides and the fire brick cools. 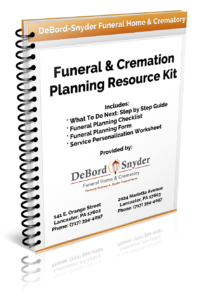 Funeral Director Charles “Chad” Snyder III explained the steps: Certified crematory operators raise the 6-inch-thick door and use long-handled tools to rake the ashes forward. After a hand-held magnet is used to draw out small metal pieces, the remains are consolidated and placed in an urn. Prosthetic limbs are sometimes destroyed along with the body, Snyder said. If not claimed by family members, he added, the limbs are in some cases reused by rehab centers. Pacemakers, which can explode in a cremation chamber, must be removed from bodies before cremation. “Everything else burns up,” Snyder said. Except those implants. They’re temporarily stored in a heavy-duty metal bucket in a room near the witness room. Snyder declined to name the local recycler his company uses. Evans, whose company has operated a crematory since 1990, said it has always recycled implants. “We do [retain] a recycling company” based in the county, Evans said. He referred questions about the company, which he said he could not name, to David Deihm, manager of the Evans cremation division. Deihm was on vacation and could not be reached for comment last week. “It makes sense” to recycle an implant, Evans said. “You should use it” to benefit others.